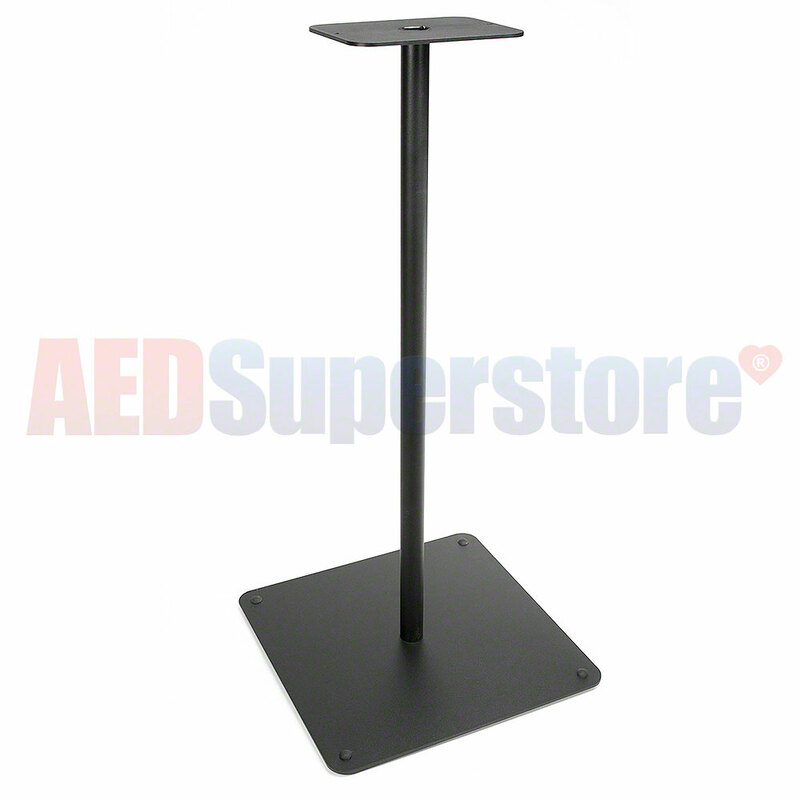 AED Cabinet Floor Pedestal for Standard Size AED Cabinet. Base and top plate of pedestal are very heavy 7 gauge steel while the riser tube is 16 gauge steel. Total height of pedestal measures 33". Top plate has pre-drilled holes and measures 6" x 8". Cabinet NOT included.